Arrive At Muscat Airport By Flight. After Immigration Clearance and Baggage Collection Proceed to the Arrival Hall to Meet the Chauffeur and Proceed to the Hotel. Overnight Stay At Hotel. 0800 Hrs: Al Jebel Al Akhdar is Famed for Its Fruit Orchards Typically Laid Out Terrace Style Along the Slopes of Mountains, Which are Endowed with Natural Springs and Aflaj. the Villages of Saiq, Wadi Bani Habib (the Village of the Old Houses) Visit to Village Roose& Al Ain Dot the Landscape. the Villages Overlook a Spectacular Landscape of Dramatic Peaks , Gorges and Wadis. the Roses of Jabal Al Akhdar Fill the Air with Fragrance When in Full Bloom (march / April). Rose Water is Distilled in the Homes of the Villagers. Lunch At the Sahab Hotel in Jebel Akhdar. Drive for Wahiba Sands Via Sinaw, a Vast Mass of Undulating Red and White Sea of Sand and Dunes Rising Up to 200 Meters, Which are Host to a Variety of Flora and Fauna. the Ever-changing Patterns of the Dunes are a Photographer’s Delight. Visit a Bedouin House in this Wilderness. in Stark Contrast to this is Wadi Bani Khalid. It Comprises of Small Pretty Villages Embedded in the Mountains. the Wadi Has Clear Deep Blue Water. overnight Stay At Tent. 0800 Hrs. Enjoy dune driving before leaving the desert. From Mintrib proceed to Bilad Bani Bu Ali and drive along the coastline to Ras Al Junayz the turtle breeding site. We have a short walk to the beach in the night to watch the turtles nestling on the sands. Overnight stay at the Hotel. 0800 Hrs. Proceed to Muscat enroute stopping at Sur to visit The Dhow factory & fish jetty. 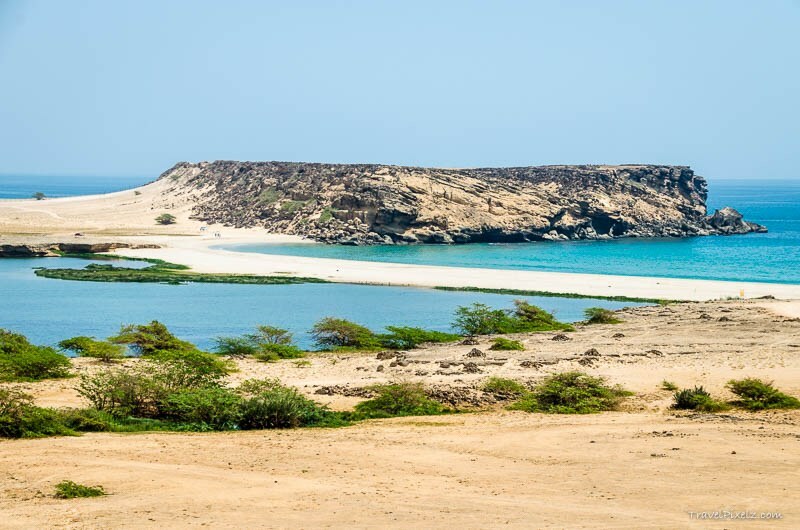 Drive via scenic and rugged coastal route to Muscat. Stop at Fins beach. Our next stop is the Bimah Sinkhole, a spectacular limestone crater with blue green water at the bottom. On clear sunny days while driving along the coast one might chance to see sharks in the deep blue water or fleet footed Gazelle sprint across the landscape. Return to Muscat and check in at your hotel in Muscat. Overnight stay at Muscat hotel. 0700 Hrs: Transfer from the Muscat Hotel to the Marina to Embark On a Boat as We Search the Seas for Dolphins and Whales. Watching Wild Dolphins is a Thrilling Way to Start the Day and the Lucky May Even Come Across One of the Many Species of Whales that Can Be Found Just a Few Kilometres from Muscat’s Rugged Coast. Not Every Trip Guarantees a Sighting, But You are Sure to Enjoy a Trip Out to Sea and Enhance Your Knowledge of Nature’s Most Fascinating Marine Mammals. 1000 Hrs: Return to the Marina and Proceed to the Hotel. 1600 Hrs: Proceed for 04 Hours Shopping Tour Visit the Grand Mall & the Avenue Mall. 1200 Hrs. Check Out from the Hotel. transfer from Hotel to Muscat International Airport to Catch Flight Back Home.